We’ve complained about this in a previous blog post. 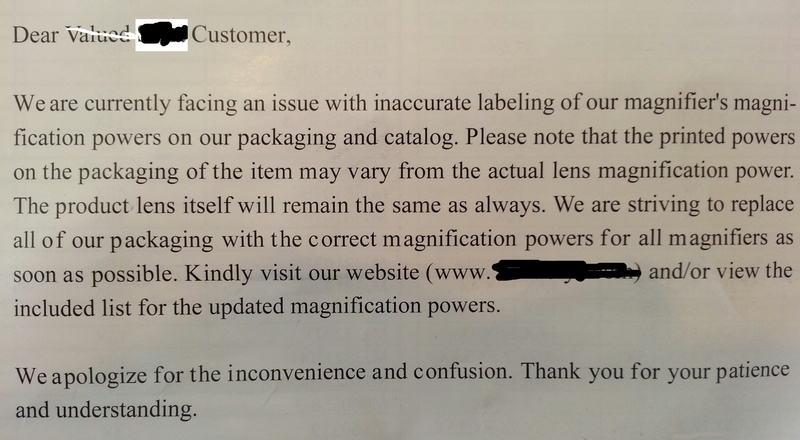 Magnifier manufacturers have been telling some rather big whoppers about the magnifiers they make. Some have been claiming to have 30X power (which is in the microscope range) while having lenses almost an inch across. This is simply not physically possible. For a while it seemed like it was inevitable that it would only get worse – mind the products were good, but the specs were lying, a lot. 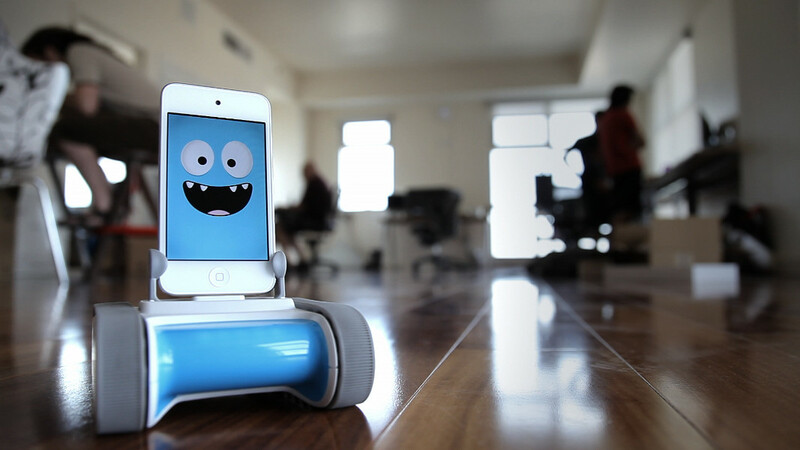 Romo is a Smartphone Robot. 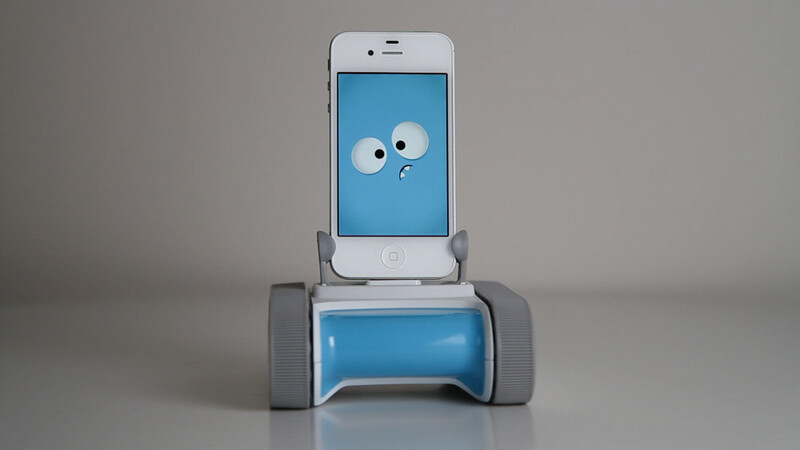 You insert your Smartphone (at present Romo only works with iPhone 4/4S and iTouch 4) onto the robot base and now your smartphone has wheels! Or more accurately, it has treads. But Romo isn’t just a mindless set of treads. Romo gives your smartphone the ability to pathfind, react to obstacles and even react to you. Those reactions are some of the best parts of watching Romo. He smiles, grins, looks confused and runs a whole series of other expressive faces depending on what Romo is doing. Plus it makes Romo so darn cute! Romo has treads instead of wheels so that he can handle less-than ideal terrain. Let’s face it, not everyone has smooth hardwood floors for wheels to travel on. Romo’s treads can handle concrete (with gaps), wood and low & high pile rugs. The treads also allow Romo to turn 360 degrees in place. Romo starts off as something of a blank slate. You train Romo and teach him how to react to the world around, Training is done with a simple (free) app. Fire a beam of electrons and it will pretty much just go in a straight line. Unless it runs into a electrostatic or magnetic field, that is, and then your beam is going to do some deflecting. This is due the electrons having a charge and thus affected by other charges or magnetics. This is a major principle an electromagnetics and the force that makes the electron beam move is known as the Lorentz Force. The Lorentz force is actually very important for many day-to-day applications. Cathode Ray tube computer monitors and TVs needed the Lorentz Force to make images – and without those you would not have LCD & LED screens of today. Measuring the Lorentz force is always a bit tricky in physics classes, so to help professors and teachers we offer United Scientific’s Lorentz Force Demonstrator. OK, so we’ve already mentioned having a Salt-Powered Robot and that is a fairly new product for us but it seems we have never mentioned some fairly popular Salt-Water Powered vehicles that we have actually carried for a couple of years. We are talking about the Salt Water Fuel Cell Car and its big brother the Salt Water Fuel Cell Monster Truck. Everyone loves a toy race car, especially one that makes lots of fun noises and lights! A fun twist on this toy car is that you have to shake it up to make it go! How Lights Your Microscope? 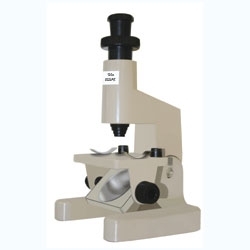 A guide to Microscope Lighting. Ah microscopes. In days past getting enough illumination to see with them was a complex process involving a parabolic mirror, a light source such as a candle (for the old days) and lots of patience. In the 20th century microscopes with lights were developed, but such luxury! They were often expensive and prone to burning through expensive bulbs. These days we are much luckier with our microscope choices. Almost every microscope in production has some kind of built-in illumination and the handful that don’t are used simply to demonstrate how microscopes without built-in lights work. A mirror illumination involves a small parabolic mirror that uses an outside light source (usually a light bulb on the ceiling or a desk lamp) to concentrate light up through the condenser lens and through the sample material. This is not easy as you must align the microscope with the light source and then angle the mirror just right to get the light to go through the condenser lens. This can get very frustrating, especially for young users.